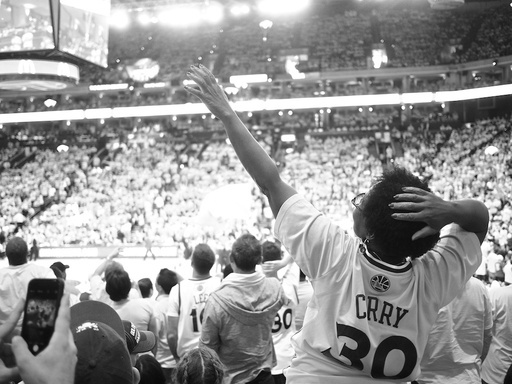 This week on The Digital Story Photography Podcast: Photos for OS X Gets Update with El Capitan, Conflicting Reports on the State of the Camera Industry, Free Film Emulator - all of this and more on today's show with Derrick Story. Weekly Update - "Sony rides wave of US Mirrorless sales surge". DP Review reports: "Mirrorless sales in the USA are rising, with sales values up 16.5% over the past year, says market researcher NPD Group. Sony highlighted the figures while celebrating its own success: with the success of the a7 series helping it generate 66% more income from mirrorless sales over the last twelve months. NPD Group says DSLR sales values fell 15% over the same period. Sony also points out that the Consumer Electronics Association has recently chosen 'Mirrorless' (short for Mirrorless Interchangeble Lens Camera) as its approved term for the class of cameras, with ILC as an umbrella term for Mirrorless and DSLRs." In other news... "April numbers show 40 percent increase in DSLR shipments, stagnant for mirrorless" Imaging-Resource reports: "Camera & Imaging Products Association (CIPA) has published the numbers for April camera shipments. According to the publication, DSLR shipments have increased roughly 40 percent, a surprising stat when you take into consideration DSLR sales declined steadily over the past few years. Also revealed in the numbers is the continuing trend of stagnant mirrorless camera shipments. Since early 2013, mirrorless shipments have been been all but flat, with a few dips, both up and down, in Fall of 2013 and Winter of 2014, respectively." OS X El Capitan supports third-party tools that will be available from the Mac App Store and accessible right in the Photos app. Use multiple editing extensions from your favorite developers on a single photo, or use a mix of extensions and the editing tools built into Photos. From adding subtle filters to using beautiful texture effects, you can take your photo editing to a whole new level. 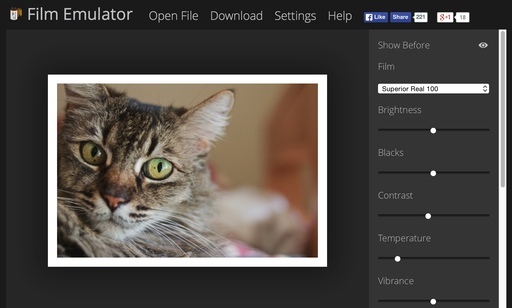 Photos has been fine-tuned to make it even easier to manage your library. Now you can add a location to a single image or to an entire Moment. Naming your favorite people in Faces is faster with a streamlined workflow. You can also sort your albums -- and the contents inside them -- by date, title, and more. Story #2 - "Free Online Film Emulator"
This is really cool. I first learned about Film Emulator from a PetaPixel article. So I had to try it myself. All you have to do is point your browser to http://29a.ch/film-emulator/, upload an image, and play with a variety of presets and adjustments. I do recommend turning on "Show advanced controls" in the Settings window. Also, in my testing, the downloaded image needs a name and a .jpg extension. Fun stuff! Story #3 - From the Screening Room - Foundations of Graphic Design History with Sean Adams. We wander off a bit from the photography path this week, but it's an interesting look at graphic design history. Eastern Sierra Workshop This Weekend - We have a great crew congregating at the Silver Maple Inn in Bridgeport, CA for the debut of the TDS Bodie and the Eastern Sierra Photo Workshop. I'll have images and reports for you in the next podcast. This week on The Digital Story Photography Podcast: Canon 50mm STM Hands-On Review, Google Photos Hits the Streets, 5 Reasons Why You Should Buy a Collapsable Reflector, Father's Day Gift Ideas - all of this and more on today's show with Derrick Story. Weekly Update - "Google Photos Offers Free and Unlimited Storage and Sharing of Your Memories". PetaPixel reports: "The new Photos service lets you store unlimited, high-quality photos and videos for free. The free storage covers photos of up to 16MP in original resolution and videos of up to 1080p HD. Google will store higher-resolution files as well, but they'll count toward your Google account's 15GB of free storage." In other news... "Mary Ellen Mark, a legend among photographers, sadly passed away on May 25th, 2015 at the age of 75." A nice write up about here on DIY Photography. I met Mary Ellen at the LOOK3 festival in 2011. I had been a fan of hers ever since I first saw her book Streetwise, which is one of my all time favorite photo books. She worked a lot for LIFE magazine, which was the dream job for me as a kid. Her passing is a great loss for the photography world. Terrific STM motor that's definitely more quiet than its predecessor. Performed well for movie recording, focused fast and quietly. 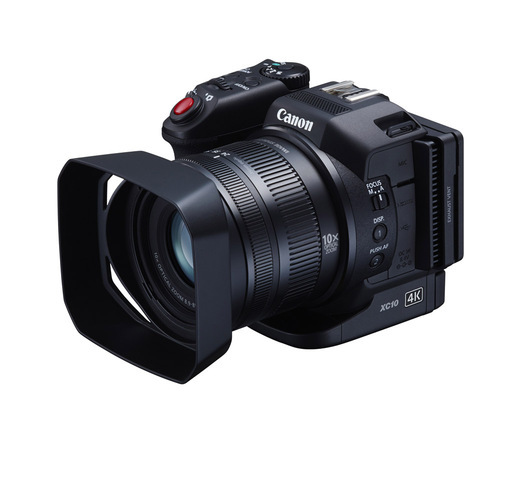 Updated design looks good on current Canon DSLRs. Metal lens mount nice update from previous plastic model. Improved manual focusing ring. Manual focusing only works when camera is on, however, thanks to the STM system. In fact, if you want to retract the lens barrel all the way in, you need to turn on the camera to do so. Manual focus override when half pressing the shutter. Seven aperture blades for smoother bokeh (compared to 5 blades before). Reasonable minimal focusing for close up photography. Confusing metadata listing: "Canon EF 50mm f/1.8 or Canon EF 50mm f/1.8 II"
Green chromatic aberration visible at wide apertures. 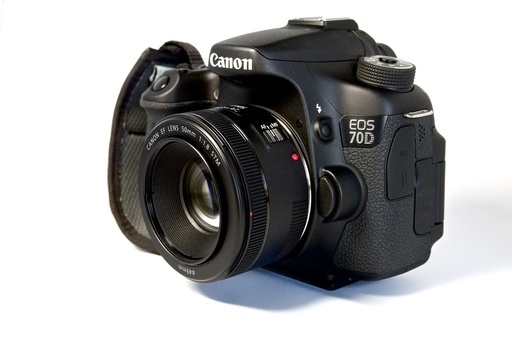 Canon 70D says: "Correction data not available, cannot correct." Lens not super sharp, but does capture a pleasing rendering of scenes. Wish it performed just a little better wide open. 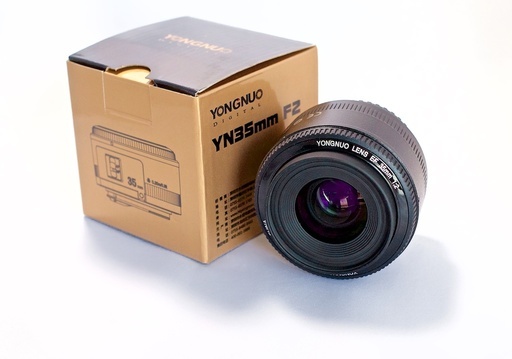 I found myself stopping down to f/2.2 or f/2.5 to better control CA. Along those lines, it tends to underexpose at f/1.8. No image stabilization. I think it would have been a real coup to add IS to this lens, even if it increased the price a few dollars to do so. The bottom line is that this is a good lens for the price, and it yields pleasing images with terrific autofocusing. Story #2 - "5 Reasons Why You Should Buy a Collapsable Reflector"
Reflectors don't require batteries or power cords. They're always on. They collapse into very compact packages that are easy to tote. Plus, when they're in their round carrying cases, they make a great place to sit on the ground while waiting for the model to finish her hair. 5-in-1 reflectors provide you with a variety of lighting options, from cool fill light to super-coppertone-bronze. No messy lotions required. Reflectors a great for budding friendships. You can ask a nice person to lend a helping hand during the shoot, thereby creating a captive audience for your delightful banter. Reflectors are super inexpensive. You might not be able to afford a new dedicated flash, but everyone can scrape together the scratch for a reflector. Story #3 - "Safari West Truck Confirmed for the TDS Fall Workshop," Oct. 23-25, 2015. Here's why Safari West our way is so much fun... If you want a reservation form, visit TDS Workshops Page and use the Send Me Info form. This workshop is listed in the popup menu. Story #4 - "5 Father's Day Gift Ideas"
For a sensational surprise gift, or for yourself, pick out your favorite image, and order the spectacular new 5k Ultra High Definition SizzlPix at the same prices, unchanged in 5 years. If you don't agree, it's better than any print you've ever had, return it for a full refund. They'll send Digital Story listeners and readers a free mini-proof before production; just put "proof first, TDS" in the comment space on the SizzlPix order page. This week on The Digital Story Photography Podcast: Dropbox and Carousel for Photographers, Wrist Strap vs. Neck Strap, Do You Have DSL-ARM? Epson P600 Review - all of this and more on today's show with Derrick Story. 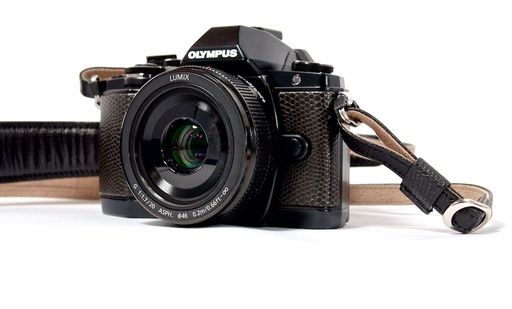 Weekly Update - "Fight DSL-ARM with a New Olympus Micro Four Thirds Body". Intense research and product development have led to the cure for DSL-ARM - the OM-D E-M5 Mark II. Capture amazing images without the bulk and weight of a DSLR. Don't you think you've suffered long enough? You can combat DSL-ARM and enter to win a new Olympus OM-D E-M5 Mark II by visiting the DSL-ARM Symptoms page. In other news... "Adobe Calling It Quits on Photoshop Touch" Petapixel reports: "After a three year run, Adobe is retiring Photoshop Touch, its current horse in the mobile photo editing race. The company announced today that the iOS and Android app will be removed from app stores on May 28th. The software will still be usable on your device if you've downloaded it already, of course, but there will be no further updates." That doesn't mean that Adobe is bowing out of this space. They're working on a new, more focused app that we should hear about before the end of the year. Story #1 - "Dropbox's Carousel Is Coming of Age" - Dropbox has steadily been improving its tools for photographers. The $99 annual plan with 1TB of space is far more useful than the free storage that Flickr is giving away. In part, you can do so much more with Dropbox, and its integration into your workflow across devices is exceptional. And now that its photographer-friendly interface, Carousel, is maturing, Dropbox presents a compelling argument to photographers seeking cloud backup and sharing. Story #2 - "Wrist Strap vs Neck Strap" - Mirrorless photography has changed so many things for me. But one area where it has introduced a dilemma is the choice between using a neck strap or a wrist strap. I explain in the second story on today's show. Story #3 - "Dates Set for the Moving from Aperture to Photos or Lightroom" - The 2-day workshop begins Friday, August 7 and ends on Saturday August 8, 2015. If you want a reservation form, visit TDS Workshops Page and use the Send Me Info form. This workshop is listed in the popup menu. Story #4 - From the Screening Room - Portrait Project: Fixing a Distracting Background with Chris Orwig. Chris loves portrait photography. And as such, he's encounter just about every challenge imaginable, including distracting backgrounds. He draws from his experiences in this terrific lynda.com title. 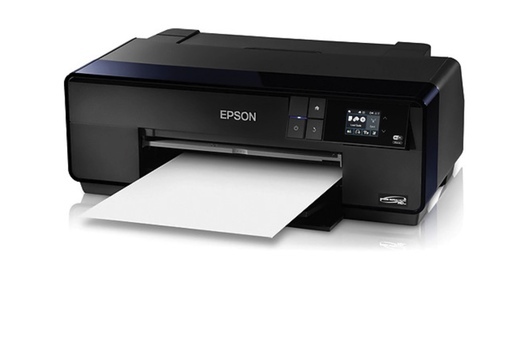 Red River Paper Reviews the New Epson SureColor P600. My favorite reviewers of inkjet printers have spent some time with Epson's latest photo printer. They've posted their review, in large part comparing it to the excellent Epson R3000. If you're in the market for a new 13" photo printer, you've got to check this out. News from SizzlPix! Last week for the TDS exclusive 5K Ultra High Definition SizzlPix. Only TDS listeners and readers can get the new 5k in time for June weddings, anniversaries, Fathers Day, graduations and birthdays. Just write TDS or The Digital Story in the comments field, and your order will be upgraded for free. This week on The Digital Story Photography Podcast: The Fujifilm X-T10 Mirrorless Digital Camera, Mobile Lightroom Without a Creative Cloud Subscription, Dates Set for the "Moving from Aperture to Photos or Lightroom" Workshop, and the Five-Step Creative Process - all of this and more on today's show with Derrick Story. Weekly Update - "The New Panasonic Lumix DMC-G7" is on its way. Let's see what's in store for us. The Panasonic Lumix DMC-G7 should be available by the end of June for $1,097.99 with zoom lens. 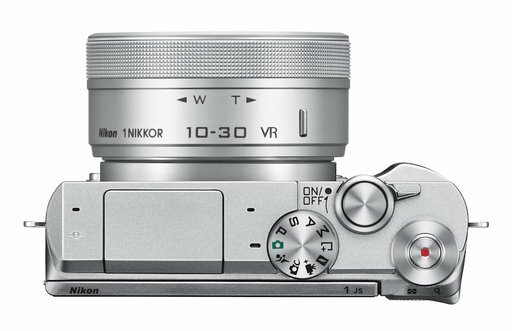 In other news... "The New Fujifilm X-T10 Mirrorless Digital Camera" debuts also, the little brother to the X-T1. But check out these features. The Fujifilm X-T10 should be available by mid-June for $799 (body only) or $899 (with kit zoom lens). Story #1 - "Mobile Lightroom Without a Creative Cloud Subscription" - If you prefer the perpetual license to a Creative Cloud subscription, there are options for serving a Lightroom catalog to mobile devices and other computers. I provide an overview in today's first feature story. And if you want to try it for yourself, read my article on how to set up this system on ct-digiphoto.com. A note from the publisher of c't Digital Photography Magazine: May is National Photo Month, and to celebrate c't Digital Photography is offering its biggest discount of the year - 50 percent off newsstand price (for a limited time). Story #2 - "MP3 vs M4a for the TDS Podcast" - Some of you may have noticed that I switched from MP3 to M4a for the weekly podcast format. For most of you, all this means is higher quality audio in a comparable file size. For those of you with older MP3 players, here's how you can still get the MP3 format version of the show. Story #4 - From the Screening Room - Five-Step Creative Process with Stefan Mumaw. Creative problem solving is an important part of our work. Stefan Mumaw shows us how to improve this process in just 5 steps. You can watch Stefan in action by visiting the TDS Screening Room at lynda.com. While you're there, you can start your 7 day free trial to watch all of Stefan's movies, plus every other title in the library (including over 20 by yours truly). Red River Paper for Ink. I just ordered a handful of replacement cartridges for my Epson R2000 printer. It's so easy to do this at Red River, and our discount code STORY10X worked for ink as well as paper. It's much easier than dealing with those large online retailers! News from SizzlPix! Introducing 5K Ultra High Definition SizzlPix photographs for the wall, stunning in their clarity, resolution, depth, luminance, and vibrancy. Unlike traditional prints, new 5K Ultra High Definition SizzlPix defy intuition by appearing even more realistic and vibrant, the closer you look. TDS listeners are the first to be able to purchase a 5K Ultra High Definition SizzlPix, and for the same price as the original SizzlPix. Just write TDS or The Digital Story in the comments field, and your order will be upgraded for free. This week on The Digital Story Photography Podcast: Interview with a Book Author from our Virtual Camera Club, Understanding the Photography Rules on Private Property, New Canon 50mm (for $125), Flickr 4 - all of this and more on today's show with Derrick Story. Story #1 - "The Rules Change on Private Property" - After a recent lunch meeting in the Metreon, Doug Kaye and Frederick Van Johnson, and I want to snap a quick group shot of the three of us. Before the first click of the shutter, we were informed by security that we were on private property, and that photography was not permitted. I was reminded of this again when I read the article titled, Yes, Airlines Can Legally Ban Photography, And Some Are Doing Just That on PetaPixel. This quote sums it up nicely: "You can't prohibit photography in public," attorney and photography rights' expert Daniel Greenberg tells the Post. "But the prohibition of photography on private property is legitimate. That decision is up to the property owner. If you don't want to follow the carrier's rules, don't get on the carrier's plane." I discuss this topic in today's first story. Story #2 - Interview with Craig Tooley, co-author of "Mendonoma Sightings Throughout the Year - The fascinating world of nature on the Mendocino and Sonoma Coast." Craig talks about the book project, that has since won a silver medal at 2015 Benjamin Franklin Awards competition in the category nature and environment held in Austin Texas, and at the 2015 INDEPENDENT PUBLISHER BOOK AWARDS a bronze metal under regional awards. We now carry signed copies of these books in the Nimble Photographer Store. Story #4 - From the Screening Room - Introduction to Photo Compositing with Julieanne Kost. As I've remarked before, Julieanne is one of the best Photoshop instructors ever. News from SizzlPix! Introducing 5K Ultra High Definition SizzlPixTM, photographs for the wall, stunning in their clarity, resolution, depth, luminance, and vibrancy. Unlike traditional prints, new 5K Ultra High Definition SizzlPix defy intuition by appearing even more realistic and vibrant, the closer you look.